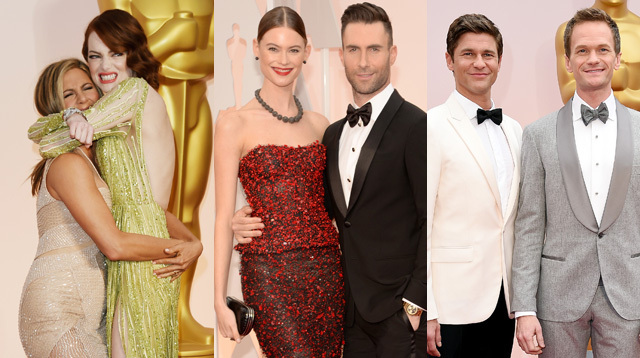 Who Was The Cutest Pair At The 2015 Oscars? Who says you have to walk the red carpet alone just because you’re single? Take a cue from newly-single Dakota Johnson, who brought along her mom Melanie Griffith as her plus one. Jennifer Aniston may have had her fiancé Justin Theroux as arm candy, but she gladly doubled as Emma Stone’s date and literally swept her off her feet. So, who do you think was the most adorbs duo of the night? Browse through the gallery and vote per photo!